Ultimately, Mind Whispering exposes the modes of being that act as obstacles in our lives and relationships, and shows us how we can choose to improve our relationships and free ourselves, living with a lasting sense of happiness. 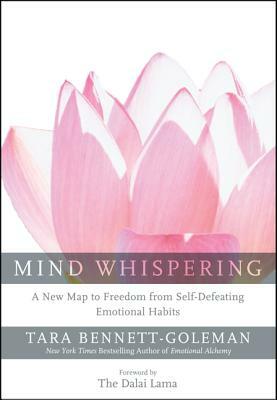 With a foreword by the Dalai Lama, Bennett-Goleman's Mind Whispering: A New Map to Freedom from Self-Defeating Emotional Habits gives you the keys to lasting emotional freedom. Tara Bennett-Goleman, New York Times bestselling author of Emotional Alchemy, is a longtime psychotherapist and international workshop leader who has offered seminars on the synthesis of mindfulness and cognitive therapy for many years with her husband, Daniel Goleman, author of Emotional Intelligence. — Dr. A.T. Ariyaratne, Founder and President of the Sarvodaya Movement, also known as "Sri Lanka's Gandhi"